Starting a new business is expensive and expanding a business can be just as costly if you need to create additional workspace. But, you can save a lot of money if you have property to build your own modular office buildings. While traditional construction works just fine, it can be a hassle, cost a lot more money and take a lot more of your time than you have to offer. 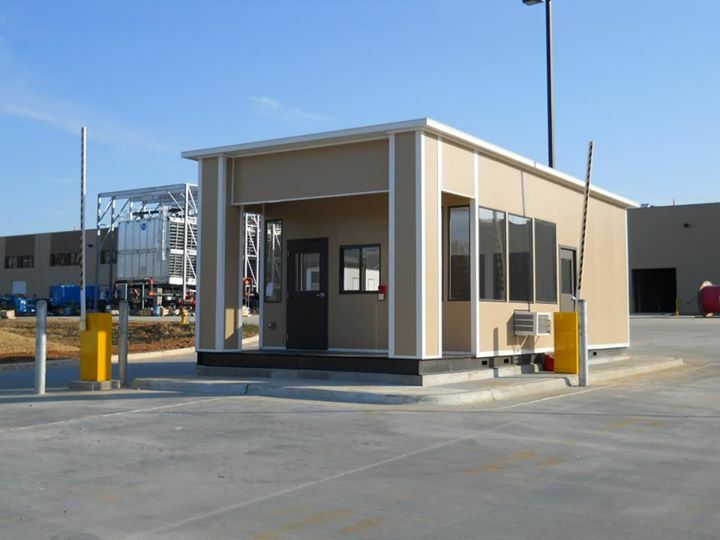 When you want to get your business up and running quickly and you want to avoid the mess of a traditional construction project, you should consider modular office construction. No matter what type of building you construct, you’ll need a foundation so there will be some on site construction. However, the construction of your foundation will be nearly all you have to do on-site when you choose modular office construction. With traditional construction you’ll have a lot of traffic from large trucks and construction crews. This not only impacts your working environment, it can negatively impact other homes and buildings nearby, cause delays in traffic patterns and stir up dirt and dust. The majority of construction on a prefab modular office building takes place off site. Because we have already created molds for the most basic parts of your structures we can quickly manufacture your unit offsite at a factory. An additional benefit to this is that you can avoid construction delays due to faulty equipment or bad weather conditions. Once your unit is complete there will be some assembly required, but this can be done quickly with minimal disturbance to your daily routine. If you lack the manpower, knowhow or desire to do the assembly yourself, we can provide skilled technicians to help assemble your building onsite. Your modular building can be fully functional in just a few weeks (including manufacturing, shipping and installation) instead of months. Due to our capability of producing a lot of similar parts at the same time, your cost goes down when you compare traditional construction with modular office building prices. If you are looking for a budget-friendly way to construct new space, a modular office is definitely the way to go. Each unit is completely customizable so you get the look and feel you want at a lower cost. Another reason we can provide a lower-cost alternative is that the material we use is slightly less expensive. Don’t let that have you believe the units are less stable. In fact, these units are often more structurally sound than traditional units, because the material has to be designed to travel safely. Another thing to consider is that steel structures are much more durable in the weather than traditional brick and mortar buildings, and even more so than wood. Steel withstands heat, water and temperature changes without warping. This means your building will likely last longer before needing to be repainted or refurbished. Your Panel Built modular office does not have to feel industrial and boring. We offer a lot of options in regards to interior looks. You can choose from different flooring, walling and window options. Additionally, you can choose different style doors and layouts so you get the feel you want. Our prebuilt units come with electrical and plumbing capabilities, so your office building can be completely functional. From full size windows to HVAC capabilities, shelving and locks, you can make sure your office space functions just the way you need it to. We even feature temperature controlled units so your employees stay comfortable while they are on the job. We know that curb appeal is important too which is why we offer a variety of exterior additions you can use to make your building look better. Your office space can look welcoming with the use of bricks or other stones and different paneling colors. Additionally, you can make the space look for welcoming by adding in some charming landscaping. If you already have property and are simply looking for a way to expand your usable square footage without expensive renovations, opting for modular office systems is a great way to add space to your business location without breaking the bank. An in-plant office allows you to create office space in the free space you aren’t using use. 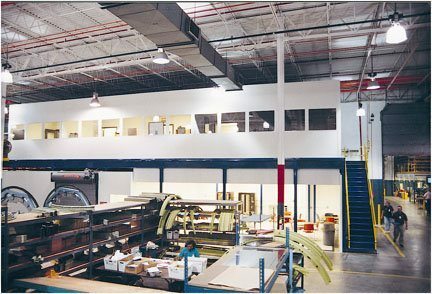 By building up, through the use of Mezzanines, we can provide extra working space without taking away from what you are already using. Or, if you simply need to create a separate space, we can add modular implant offices on the same floor as the rest of your building. You can use these modular office rooms for conference rooms, break rooms, additional storage or office space. The use of modular offices allows you to create an extra space with little to no on-site construction. Your space is manufactured offsite and transported to your location for installation. You can install the units yourself of take advantage of our professional installers. While there may be some disturbance and disruption as the installation takes place, the distraction will be minimal compared to a traditional remodeling job. Whether you need extra space onsite or you want to construct your own modular building, Panel Built has what you need. With dozens of design options, you can create a unique building that fits your needs, looks great and saves you money. When you need extra space, buy a modular building by Panel Built. We offer quality construction for lower costs. For more information on how we can help you get more space for less money, contact our customer service agents. We can show you how many options you have for the perfect in-plant office.